The Northern Governors’ Forum (NGF) has held a meeting with the national leadership and state chapters of the Miyetti Allah Cattle Breeders Association of Nigeria (MACBAN) as part of efforts to resolve the continued clashes between herdsmen and farmers, which has led to the death of many. The meeting, which held in Sokoto, was attended by the NGF chairman and Borno State Governor Kashim Shettima, host Governor Aminu Tambuwal and their counterparts from Kano (Abdullahi Ganduje) and Kaduna (Nasir El-Rufai). Though no formal communiqué was issued after the meeting, reports showed that the gathering discussed genesis of the crisis, efforts to contain it and how to entrench a permanent solution. 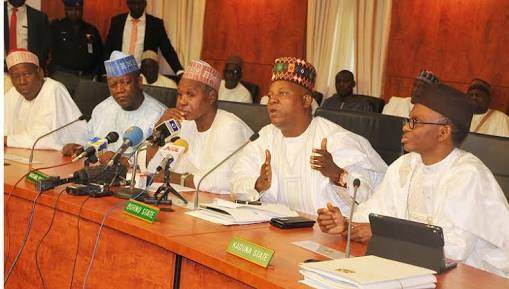 Shettima said the 19 northern states are worried by the rising insecurity involving herdsmen and farmers. He hoped that their intervention will help in resolving the conflicts. According to Shettima, the governors are adopting a local-conflict resolution mechanism to bring back trust and understanding among the people to complement the Federal Government’s efforts. According to The Nation, a source said of MACBAN’s stand: “The leadership of Miyetti Allah, led by the National President, Muhammed Kirowa, told the meeting that the approach to conflict resolution adopted by political leaders in some states is not helpful. Reports said though no resolution was reached at the meeting, a new round of discussion will be scheduled for Abuja, Jos, Makurdi and Kaduna in the coming weeks and months.